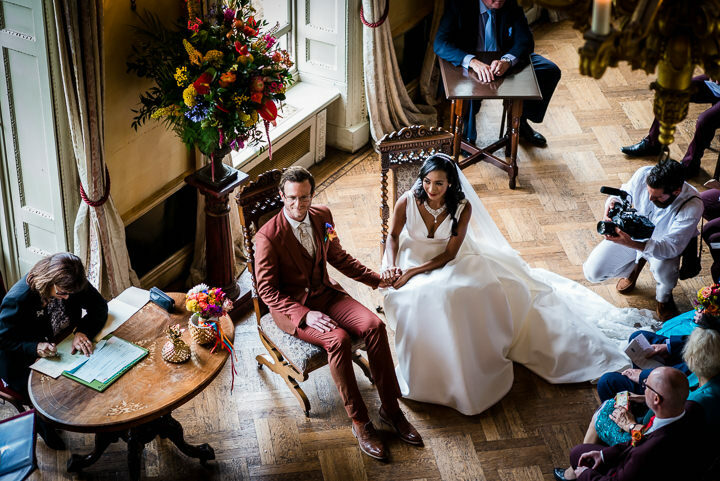 Today the lovely Yasmin and Stuart are sharing their wonderfully bright, colourful and joyful Hampton Court Wedding with us. 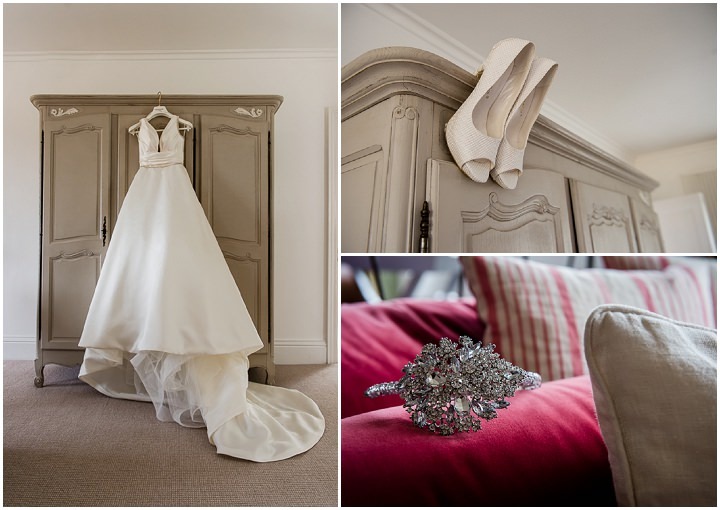 It’s a spectacular collection of classic elegance mixed with a huge amount of fun and colour. 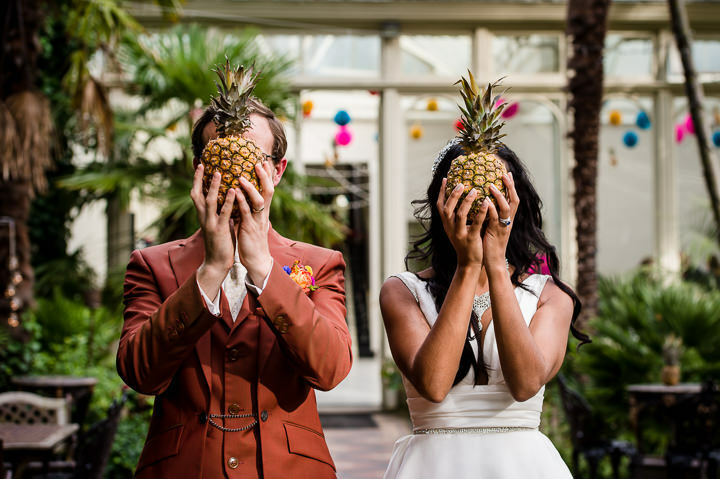 With a theme of ‘all the colours’ along with an eclectic mix if pineapples throughout the decoration, this wedding, is bright, vibrant and full of fun and smiles. 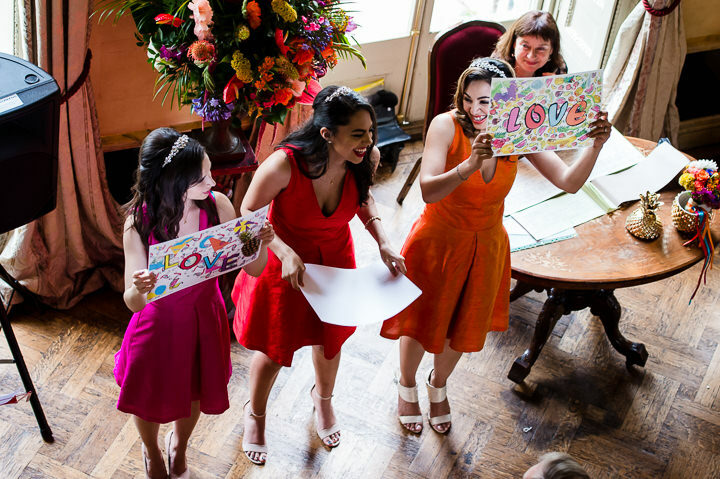 From the tear jerking ceremony to the emotional speeches we are also gifted with a wonderful amount of emotion, along with this beautifully joyful celebration. The wedding is finished off with a good old knees up and some rather fetching dance moves. 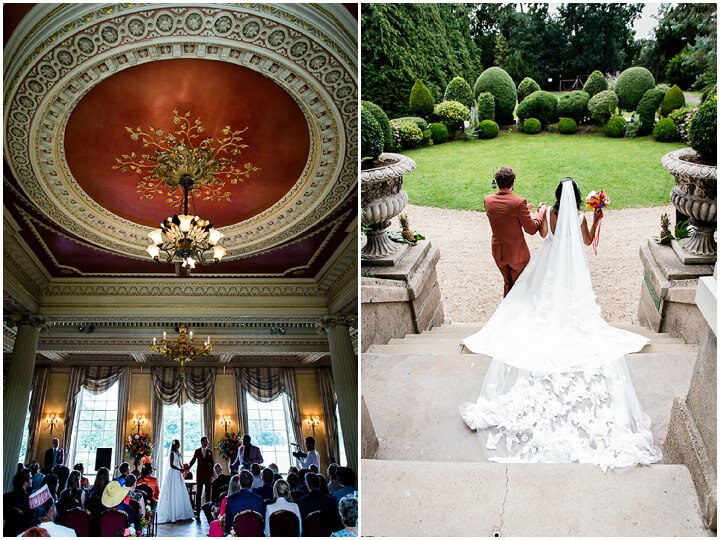 What a totally magical day, captured perfectly by Mona Ali Photography. A musical explosion of emotion, colour, joy, and pineapples everywhere! 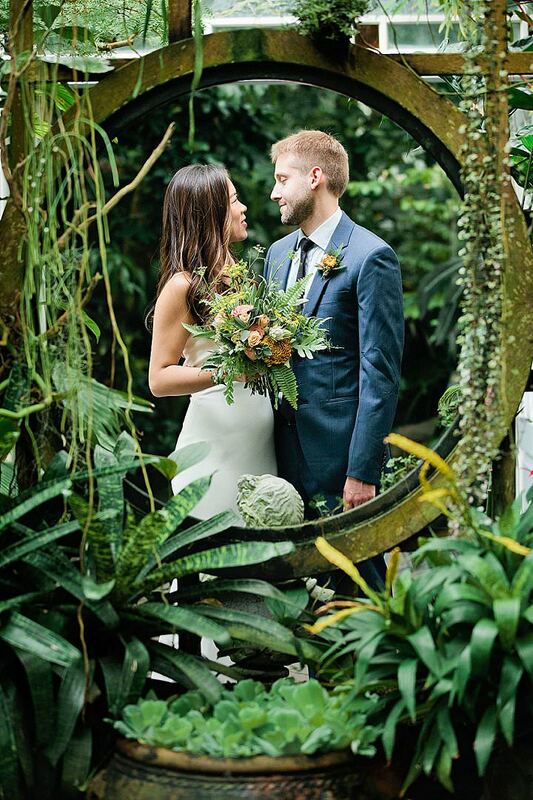 It was a reflection of our love of life and for each other. 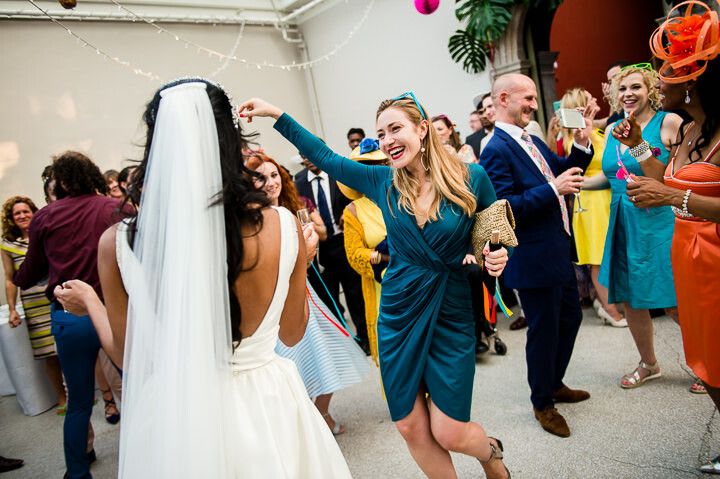 We met at work and socialised in a wider group but were both initially in relationships. It was almost 2 years later, at a party atop the South Downs, when a mutual friend pointed out that we were both single and gave us both some unsubtle side glances. 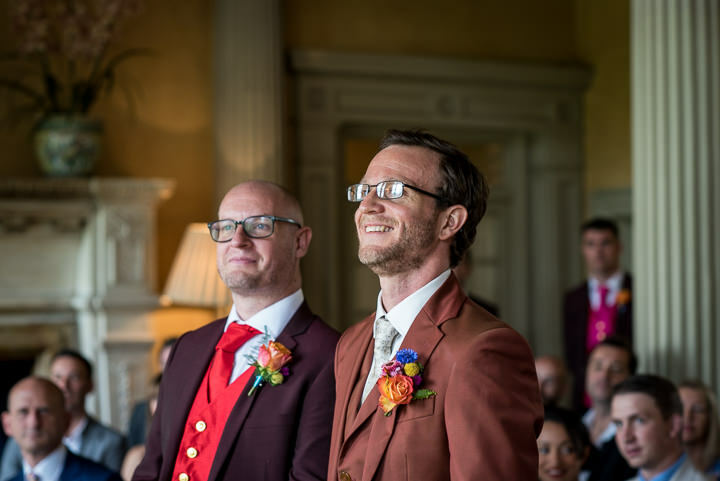 Major sparks snapped when I realised Stuart was in a gospel choir, then there was talk of going to a festival together which turned into homemade chicken soup, clubbing and cocktail making… Now we have more than 6 years of history together. Stuart suggested we take an evening supper of fish and chips up to Devil’s Dyke, a beauty spot which Constable described as the finest view in the world, to watch the sunset. Instead of driving he suggested we catch the open top bus (the number 77, it’s a real treat! ), which whisked us out of Brighton and up onto the South Downs on a glorious warm August evening. We unpacked our dinner (plus a bottle of prosecco) and soaked in the Sussex serenity. Then just as the sun was setting he said ‘I’ve got something to ask you’, went down on one knee and dropped the question. Yasmin was silent for literally a minute…but eventually said yes before launching herself on me for an embrace. 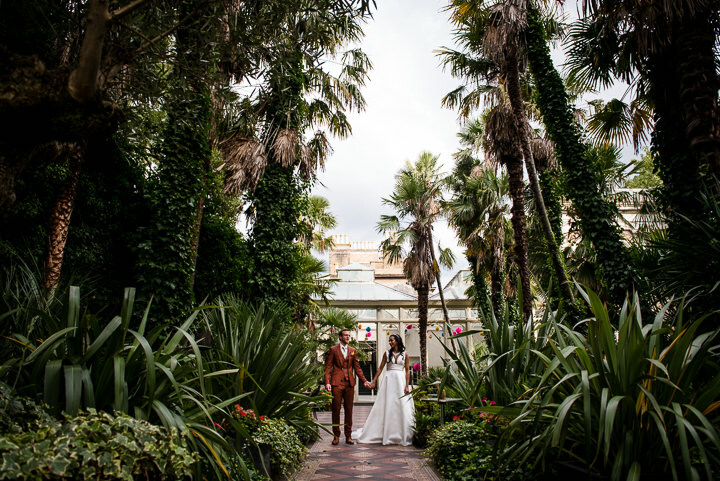 We immediately agreed that the most important things were a beautiful venue with character and lots of indoor and outside space to ensure we had no weather worries (this is England after all! 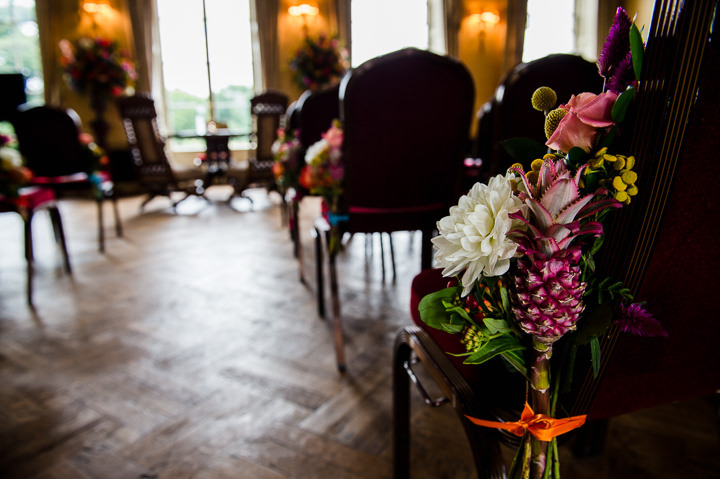 ), and to have the flexibility to serve a multi-national wedding feast, paying tribute to our combined heritage. For everything else, we went with what felt right for the both of us. In terms of practicalities, we set up a spreadsheet and allocated a minimum, average and maximum spend for each aspect. We then tied this into when funds were required and our available cash flow. It sounds boring but is totally necessary! It certainly didn’t feel like we splurged, we managed to get real value in every area. 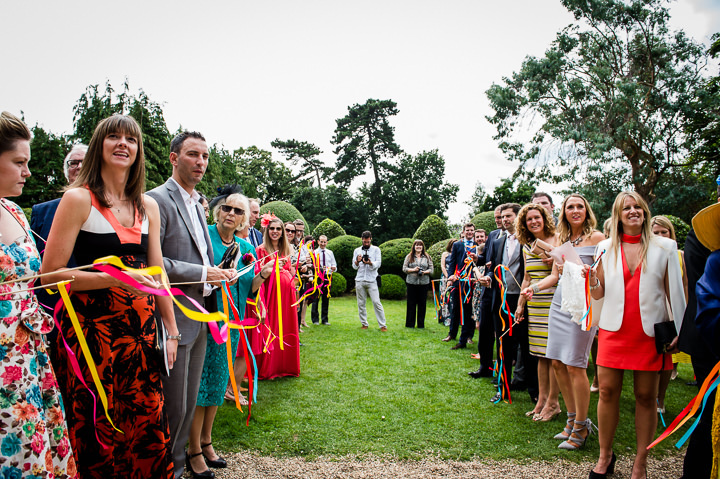 It was important for us to have a participatory wedding, where our friends and family had a stake in the day. The fact that our friendship group includes a florist, a filmmaker, several musicians and a Deputy Superintendent Registrar probably helped. We ending up splurging on a Vivienne Westwood suit for Stuart but found his beautiful Italian leather shoes in TKMaxx. 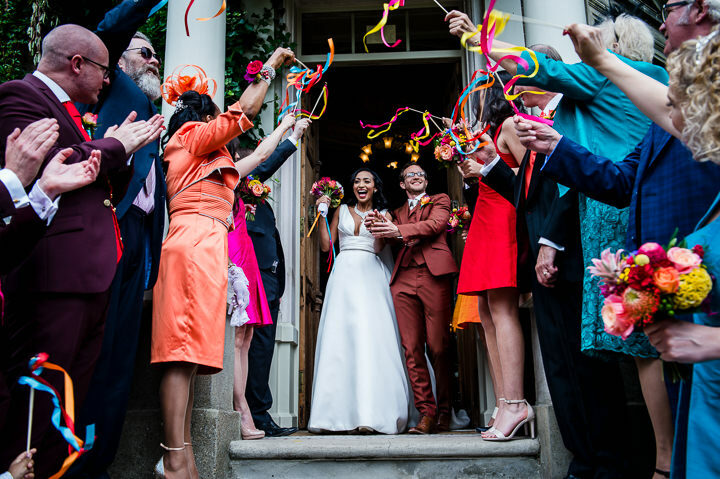 We bought the groomsmen suits in the sale from House of Fraser but found an incredible local dressmaker to create the bridesmaid’s dresses and groomsmen’s waistcoats and ties which ended up saving us loads, and the results were much better better than anything we saw for sale! 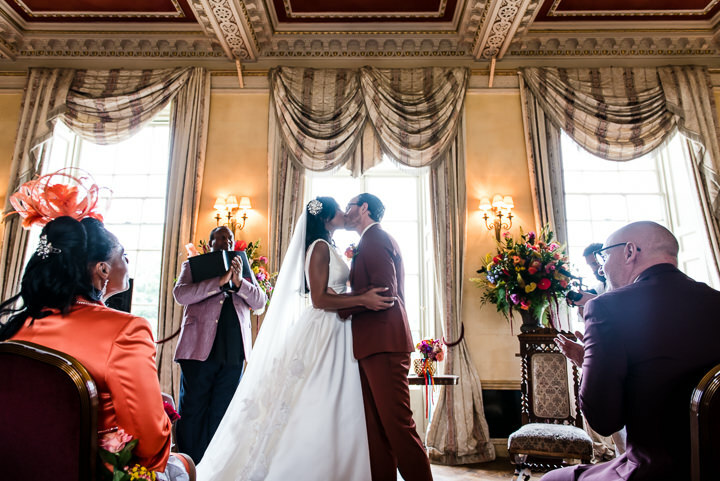 Yasmin’s dress was roughly the same price as Stuart’s suit but she sourced her beautiful veil and crystal headband from eBay, both of which were brand new. The wedding cake could be considered a splurge, but Stuart loves maps so we wanted to incorporate this. 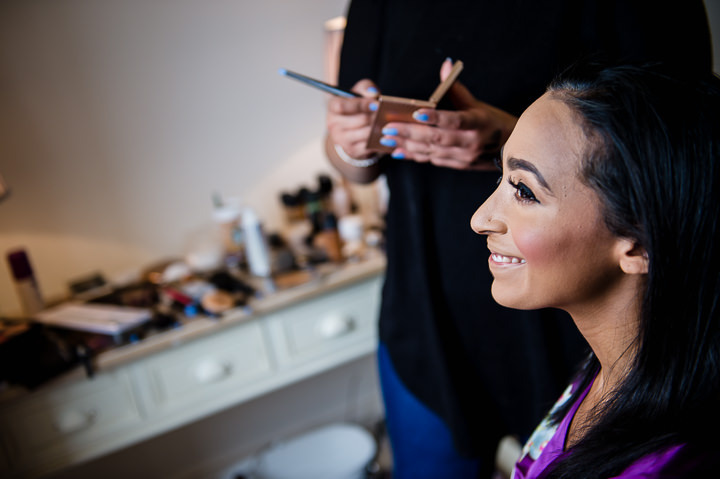 It was our first Wedding Fayre where we met Mona. We immediately felt at ease around her, as though we’d met her before and it was clear that her aesthetic style and approach was exactly what we were after. 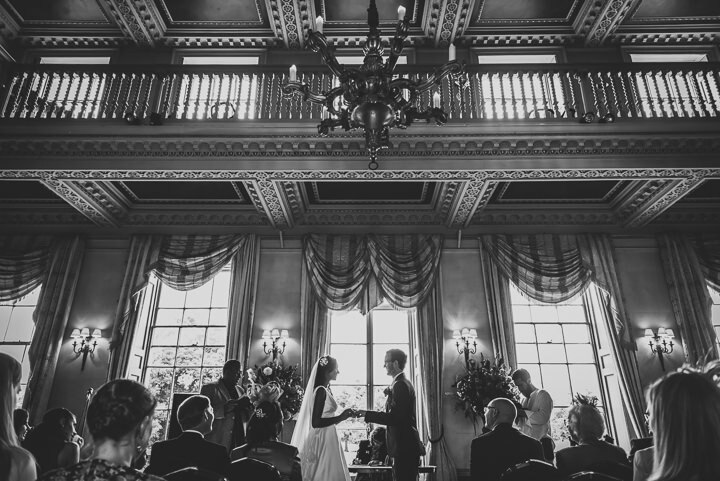 Her photos were so beautiful, they captured moments in a way that you made you feel like you were there. Stuart’s suit was a rust coloured three piece by Vivienne Westwood – Stuart had no intention of being quite so flash but when he saw the colour and tried it on there was no going back. 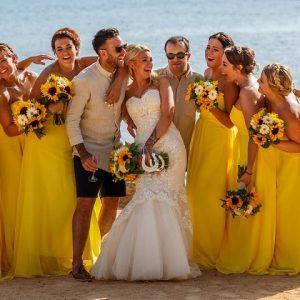 The bridesmaid’s dresses and groomsmen’s waistcoats and ties were made from dupioni silk, handcrafted by Joanna Kociuba Fashion. 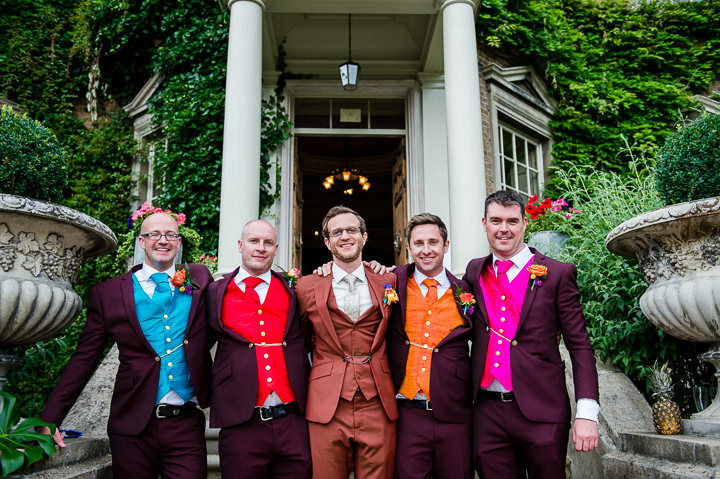 The burgundy groomsmen suits were from House of Fraser with button chains from Ebay. 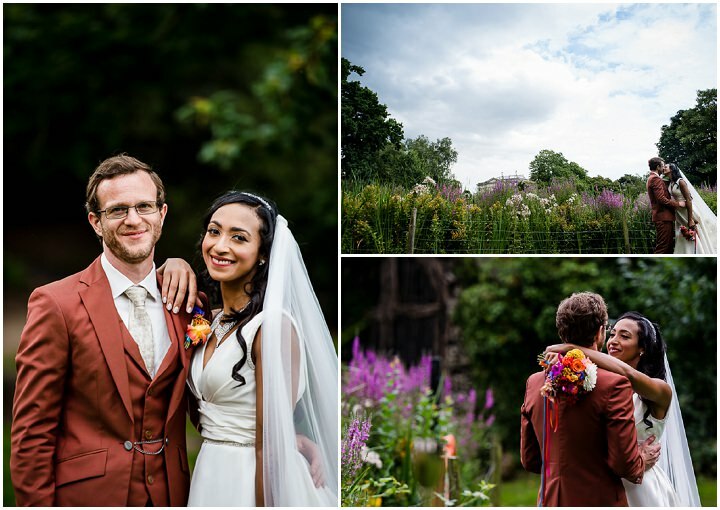 Our colour scheme was ‘all the colours’! 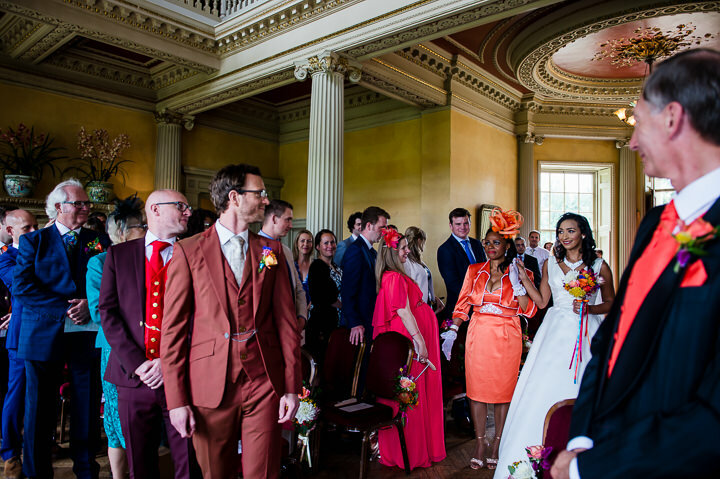 All the colours, that is, as long as they were bright… Common themes were red, bright pink, aquamarine and tangerine. 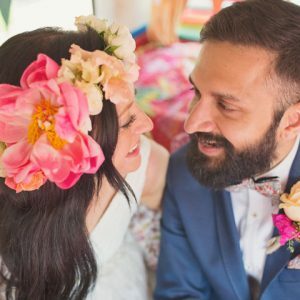 There was absolutely no place for pastels in our wedding. 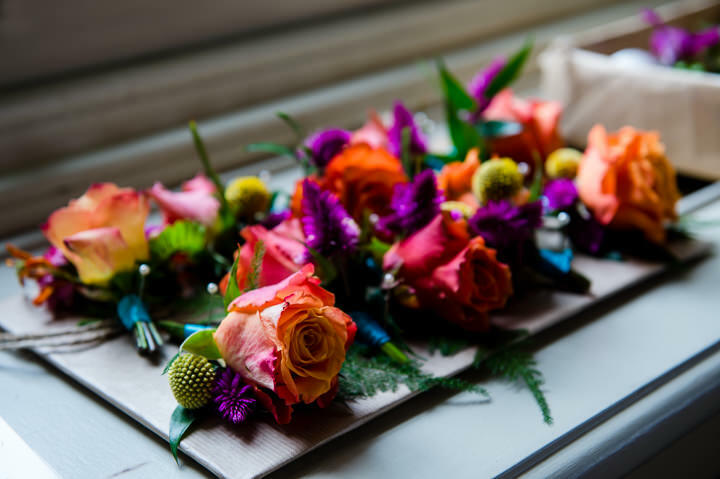 The wonderful Claire Ranson created exotic bouquets, wrist corsages and button holes which were explosions of colour, and mini pink pineapples. Pineapples. Everywhere. 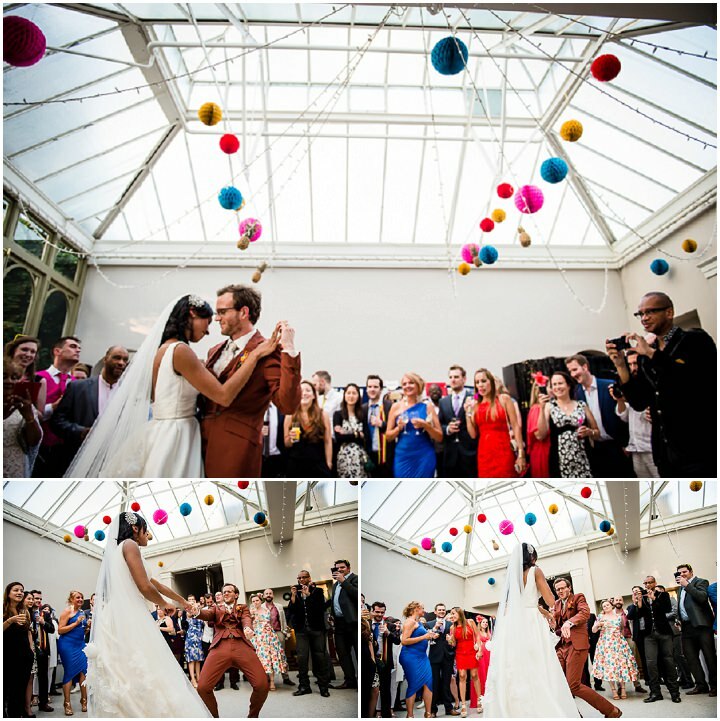 Claire, our florist, even hung pineapples from the ceiling of the conservatory, alongside bright honeycomb balls. 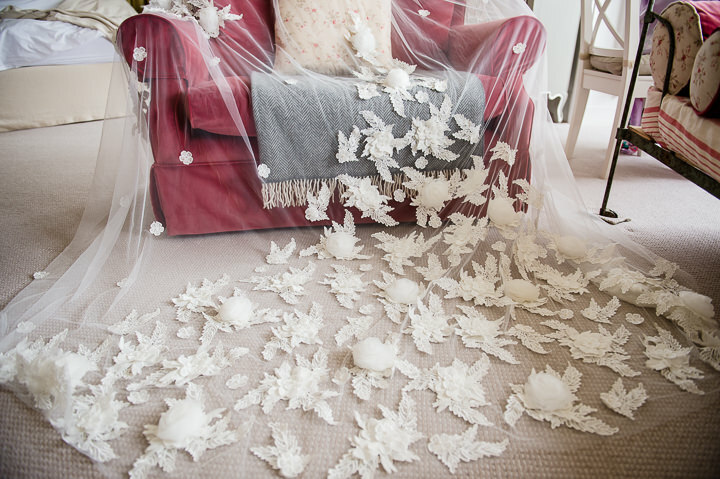 She created playful pew ends and table decorations and even crafted a grand entrance to the banqueting hall using cheese plant leaves. A wedding feast! 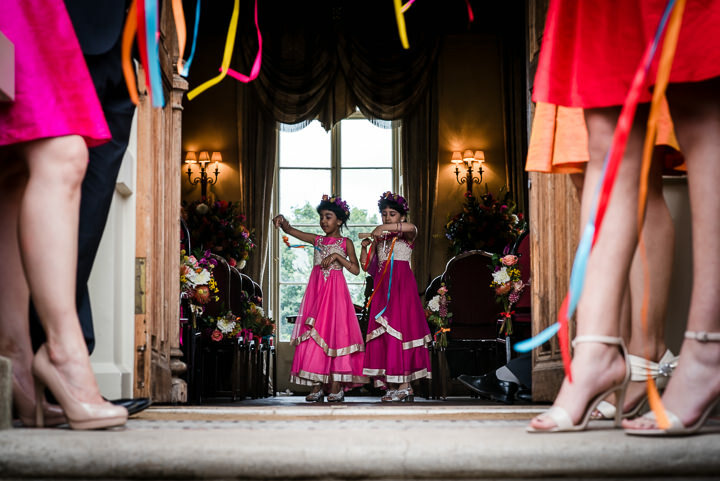 We kicked off with Caribbean canapes during the drinks reception which was followed by a celebration of our respective heritages, drawing cuisine from the Caribbean, Pakistan and the UK. We had a smorgasbord of Caribbean Chicken, Goat Curry, Lamb & Spinach Curry, Aubergine Curry, Rice & Peas, Hot & Spicy Sauteed Potatoes, Avocado Salad, Vegetable Biryani, and an exotic Mango and Papaya Salad. All followed by Banoffee Mess and Eton Mess served in vintage tea cups. 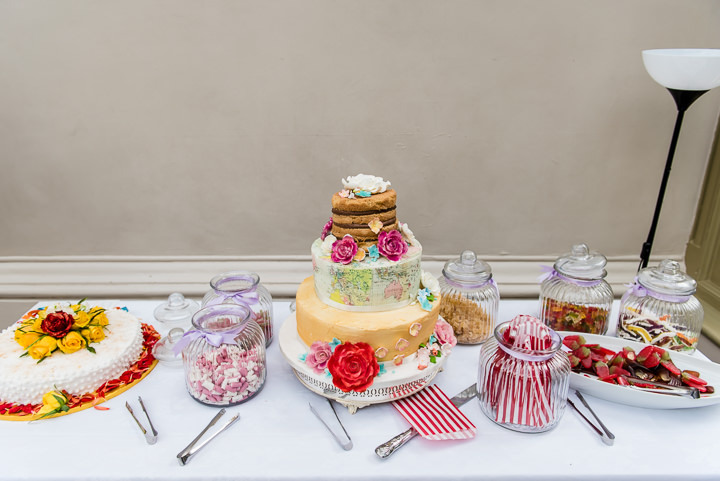 Created by Pretty Gorgeous cakes, we selected a three-tiered cake; one tier of Victoria sponge and two tiers of chocolate. The second tier was decorated with a map of trading routes from the 19th Century. Yasmin’s aunty furnished us with a beautiful fruit cake on the side to ensure there was something for the more traditional guests! 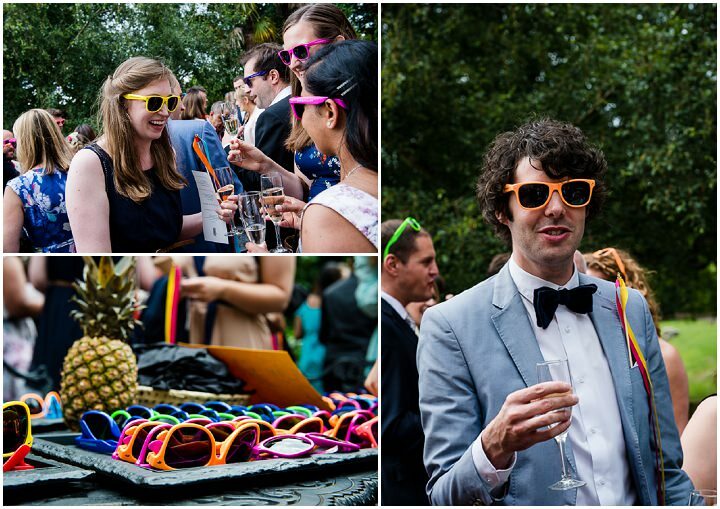 During the drinks reception, we put various games outside including badminton, croquet and hula hoops. 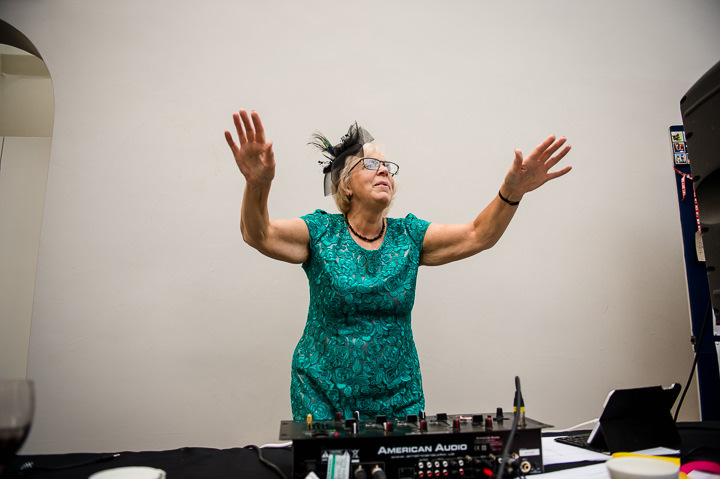 The evening’s entertainment consisted of individual DJ sets from the Bride, Groom, Mother of The Bride, Mother of The Groom, Maid of Honour and Best man! We each took a turn in wearing the sparkly gold tail coat to head up the music and watch our friends and family boogie.! 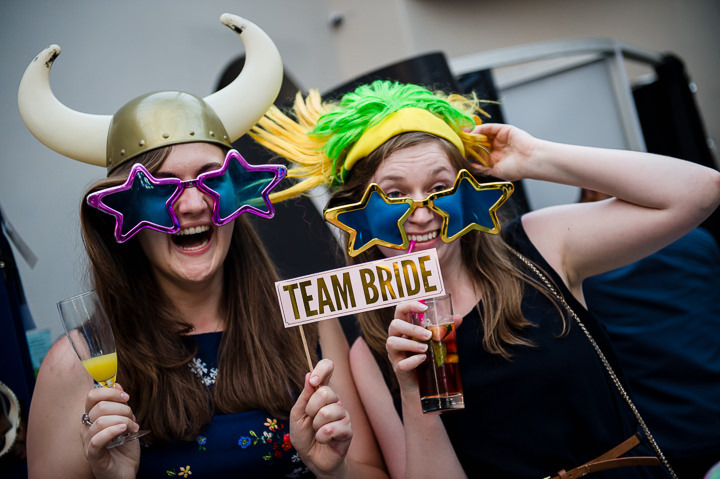 We also hired a photo booth… standard! 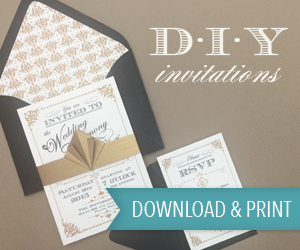 We painstakingly designed the stationery ourselves using Zazzle. This included save the dates, invitations, order of services, table names, table plans and welcome posters. 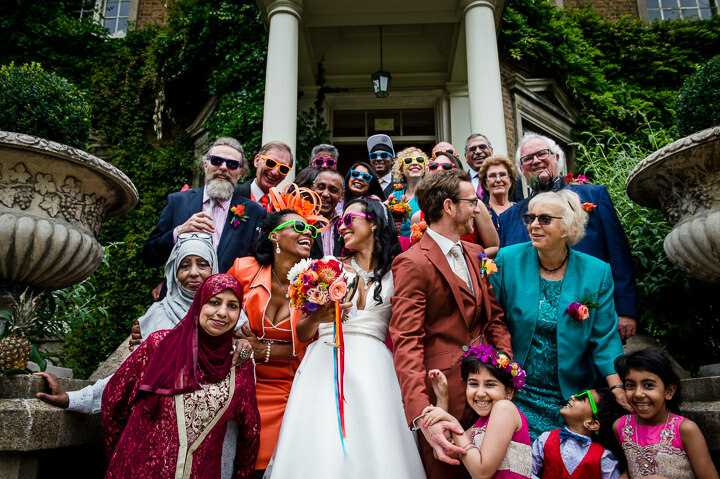 So many, it was incredibly important to us that people recognised every element of our wedding as ‘us’. 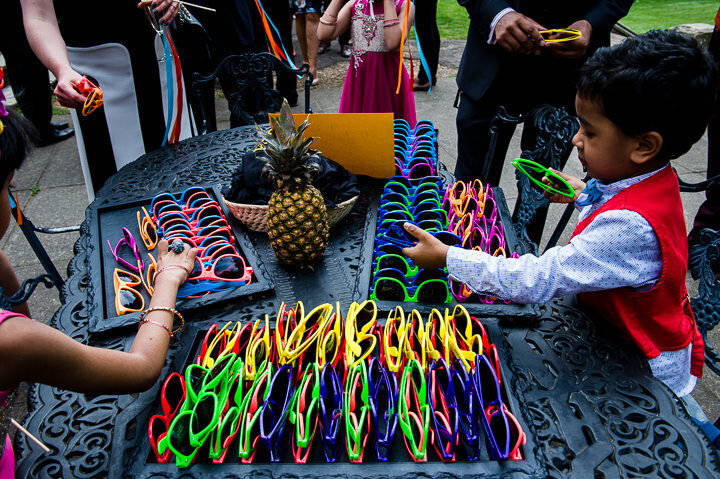 We provided personalised brightly coloured sunglasses for all our guests. 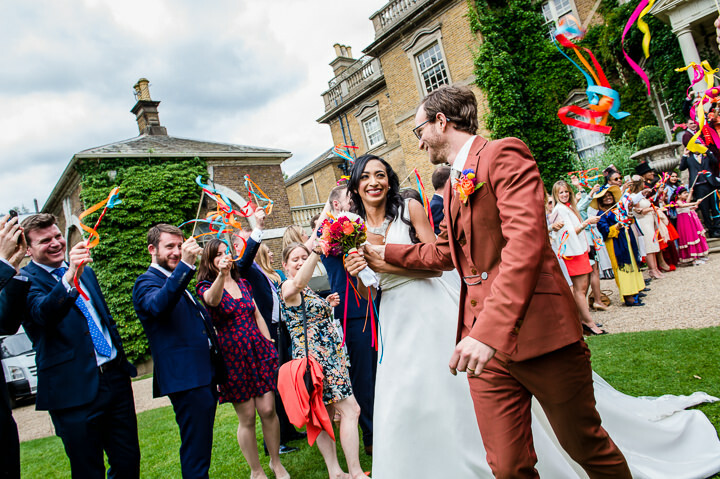 We also personalised fans and colourful ribbon wands as an alternative to confetti. 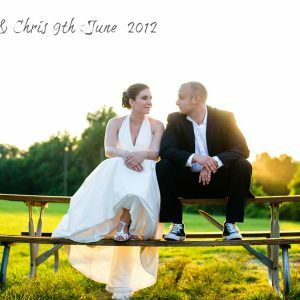 We forwent ‘normal’ table numbers and instead decided on ‘things’ we love. These included ‘Walking on the sunny side of the street’, ‘Birdsong’, ‘Man in the Mirror’, ‘Big Hairy Dogs’ and ‘The Labyrinth’. 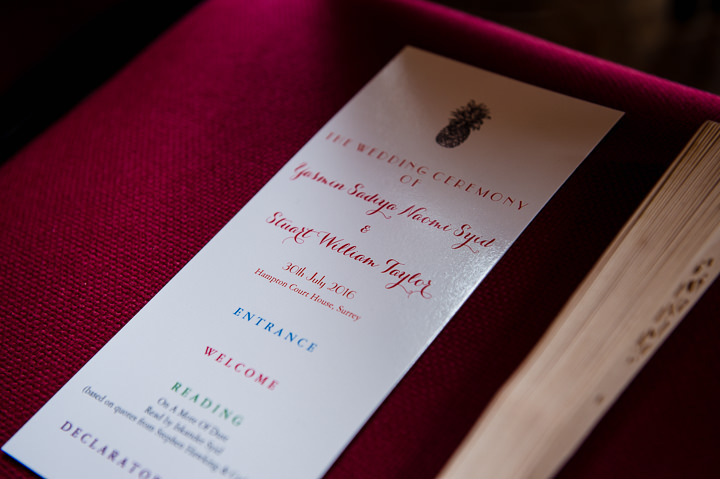 We spent months trying to find the right readings for the ceremony, in the end we admitted defeat and created our own. The first was based on quotes from Carl Sagan and Stephen Hawking and was read by the Father of The Bride. The second reading was a reinterpretation of Desiderata and was read by the Maid of Honour. We created a ‘Yasmuseum of Stuartefacts’. This included memorabilia, photos and stories about us individually and as a couple. There were Venn diagrams so everyone could see where we are aligned and where we are polar opposites! 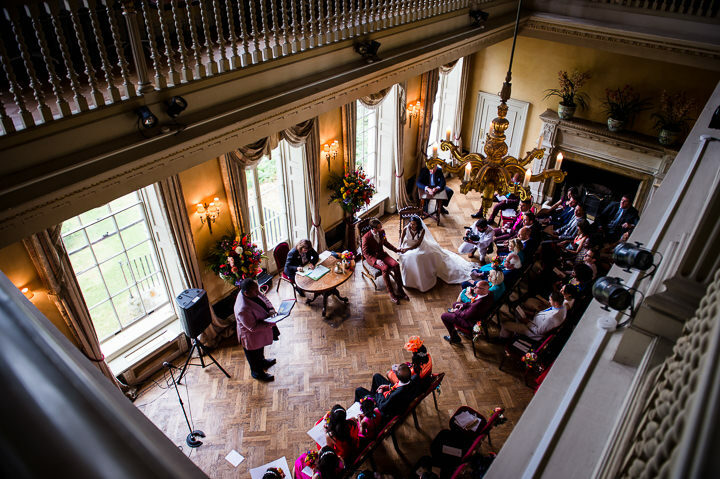 We decided to split speeches throughout the day, to ensure immediate family all had a prominent role. 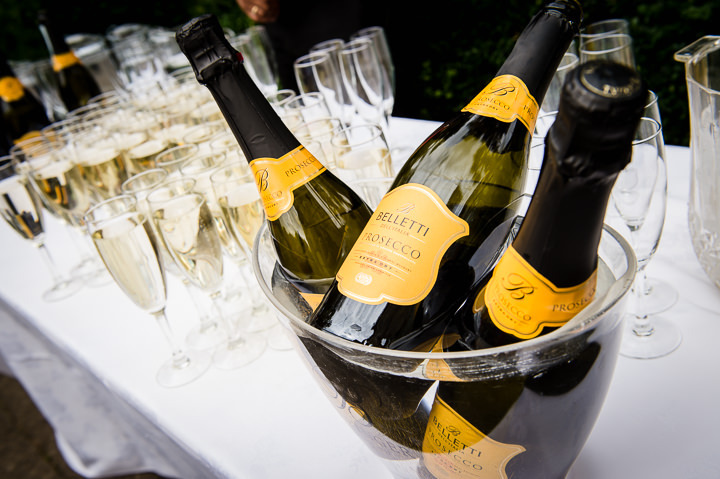 This included an evening speech from the Mother of The Groom once the evening guests arrived to ensure they had a formal welcome. 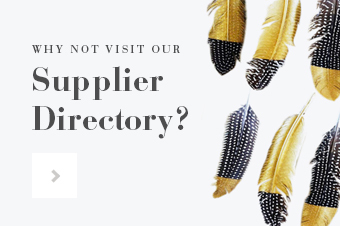 We decided to play around with the ‘Gift List’. 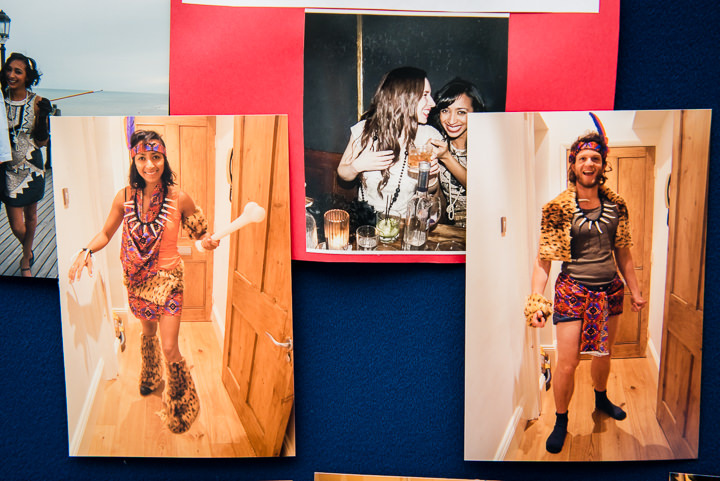 We used Prezola to create a fun way for people to donate to the honeymoon. 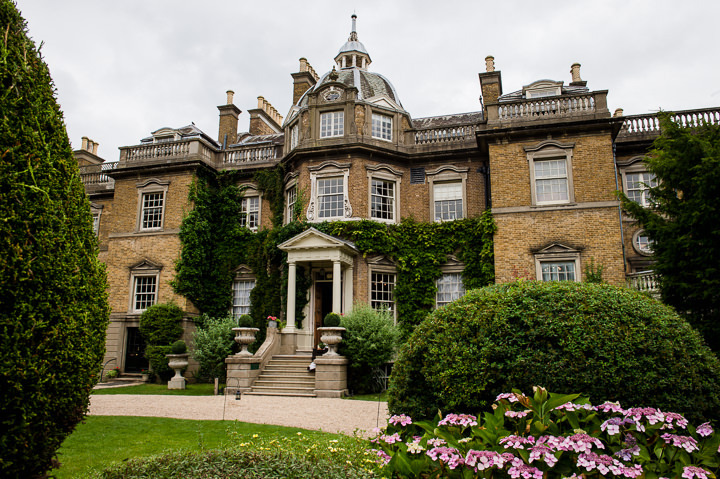 Guests could choose from a Goat, twin beds, a Hovercraft, Behaviour Correction Training for Stuart, a Menstruation Hut for Yasmin, a hot tub, a Lamborghini 1983 Countach and a tunnel to the beach. 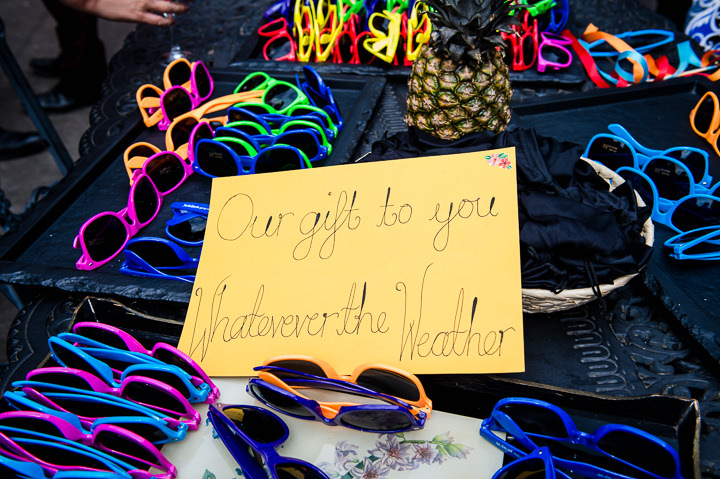 The donations said a lot about our guests. 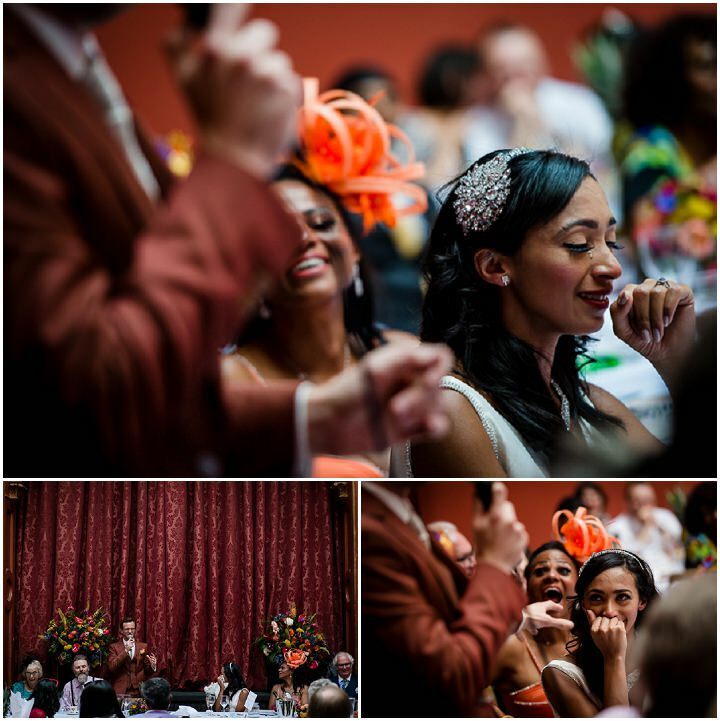 Live music during the ceremony which included our friends Shenali Tissaaratchi and Dave Belham performing ‘I’d Do Anything for Love’, with some careful word replacement! Friends being handed instruments to get involved whilst singing along to ‘All You Need Is Love’! 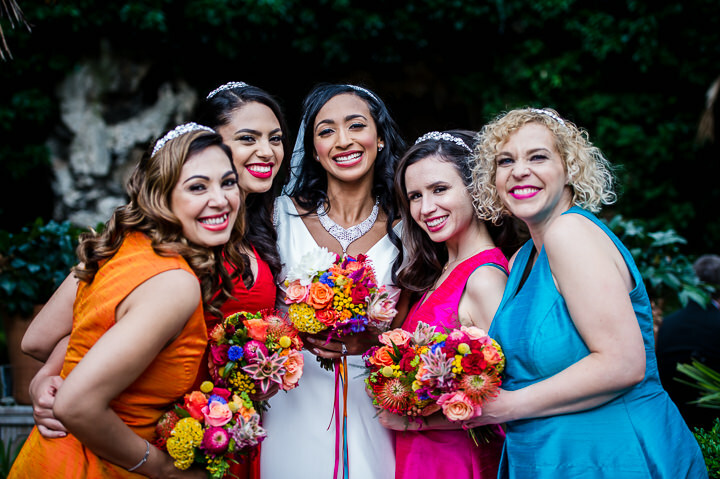 Include your friends and family not only in the planning but in the day itself – from our own experience we know that having a stake makes it even more special. Plus, this shares the burden. Don’t sweat the small stuff. Get the planning done as early as possible so you can enjoy the days in the run up – don’t underestimate how many decisions there are to make, it’s endless. 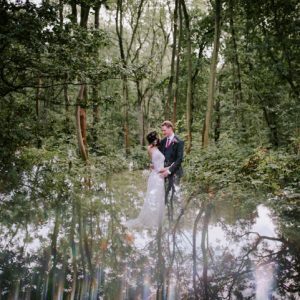 Mona Ali is a Sussex based documentary wedding photographer with an honest, creative, relaxed natural style of photography with an unobtrusive approach to capturing your wedding day.